 First of all, can we just say how flattered we are to be guest blogging over at the Limestone? Whoa. As huge fans and avid readers of Mrs. Limestone's adventures, we're very excited to be here! Here's a little background on us. We are a husband and wife duo from Chicago, living, working, and playing amidst the hustle and bustle of the city. Originally hailing from Cincinnati, we decided to take the leap, pack a one-way moving van to the Windy City, and dive head first into the metropolitan lifestyle. Our goal on the ol' blog is to share our home adventures, mishaps, DIY projects, and all those things that go into making a home a home – all while living in a teeny urban environment. As proud owners of a 650 square ft second floor walk-up, we know small. And we love every inch of it. While we pour love into our home on a daily basis (with the help of one spunky pup and two kitties), we also jump at the chance to help our friends find solutions in their homes. Of course, one of the biggest challenges we stumble across is how to take a limited budget and turn that into a big impact in a rental space. So when our friend Renee asked us for the hands on treatment in her rental, we eagerly dived in. Not only did we makeover her sunny, charming living room last Fall, but she recently asked us back for round two, and this time, it was her bedroom. Because she works from home, it seemed only necessary to have at least one room to escape from her daily grind. Olympic's barely-there-pink paint, Diana, gave us a flirty feel, while the floor to ceiling curtains (doubled up on curtain tracks), added the perfect amount of drama and that oh-so-romantic touch. We love how the blue plays off those blushing walls, yet adds the perfect balance of masculine versus feminine. And by going the extra mile and painting the trim white, we gave those walls the pop it deserves. And the art. I mean, wow. When Renee told us she'd love nothing more than to hang this work in her room, she couldn't pick our jaws up off the floor fast enough. Not only is it gorgeous, but we think it sweetens the deal to know that the model is the artist's wife, Marcia. Created by John Leben, the canvas duo you see over her bed originates from 1973. Vintage. We like that. (For more eye candy, you can see John's current work right here, which includes a slew of scenic digital paintings). But back to those new-to-us furniture finds. Renee found these end tables at a local antique store and scooped 'em up. And to be totally honest with you, I wasn't completely sold on them, whereas Scott loved the clean lines and mid-century feel. Now, don't get me wrong. I love a good mid-century piece as much as the fellow enthusiast, but it was missing something. So after a few sprays of Design Master's Robin's Egg on one and a quick roll of Olympic's Diana on the other, we got some serious anchors on that bed frame. It was a wonder we didn't sneak them out for ourselves. I'm thinking she may have noticed. You may be wondering about her lack of a closet door. After a heavy (but fun) night of closet reorganizing - we left Renee without a much needed privacy screen for those tops and tees. But it was nothing some leftover track from the window couldn't cure, and we clipped a clean, white panel in place of the original sliding, bulky door. Of course, there's much to be said in the details. From the pop of blue on the end table to those delicate glass lamps (from Ikea, no less), we hope that Renee finds unexpected, thoughtful touches surrounding her. A fresh vase of flowers and punchy pillow add that extra oomph. And there you have it. We like to think we took that room by the proverbial throat and turned a bare-bones-cream-box to a playful-yet-chic-and-sometimes-romantic-haven. And lucky us, we've received confirmation from Miss Renee that her nights are nothing short of bliss. For all the renters out there, it doesn't take much more than a few cans of paint, a little elbow grease, and a free weekend to see big results (while still keeping the landlord happy). And a big thank you (and bear hug) goes out to Mrs. Limestone for allowing little ol' us to share this room makeover with all of you. xo. Such a fun room--love the artwork! I LOVE their blog! So excited to see them on Brooklyn Limestone! Nice space, love the art work. i've been searching for the perfect pink for my nursery. i clicked on the link and did a search and i'm not finding the color... is "barely there pink" the actual color name? I really like the art work! Also, i like the bedding! Where is that from? I echo Shilo--where is the bedding from? That soft jade color would be perfect for us! Hi all, thanks for the super sweet words! that room is amazing! i love the colors - perfection! Isn't it amazing how a few relatively small changes can make all the difference in the world? Beautiful job, guys! I like the artwork too. I am a Floridian that just moved to Cincy! A nice change to the room. Especially the artwork. Thanks! I find it very inspiring. I am going to be re-doing my bedroom in the next few weeks, and any inspiration helps! You guys did an amazing job!